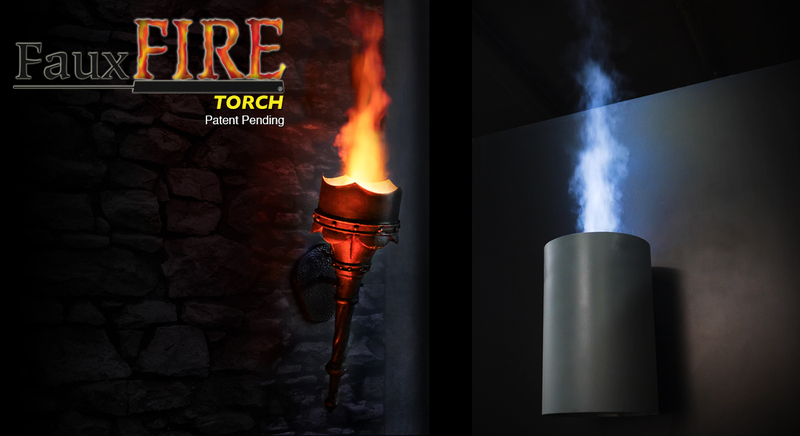 Technifex’s FauxFire® Torch is the most realistic looking simulated torch in the world! Using our latest FauxFire® technology, Technifex has developed a low-cost way to incorporate the ambiance of real flame into virtually any type of themed facility, ride or presentation. Fantastic for use in haunted houses, dark rides and permanent show venues. Our FauxFire® Torch can operate up to 24 hours per day and requires only power and steam. 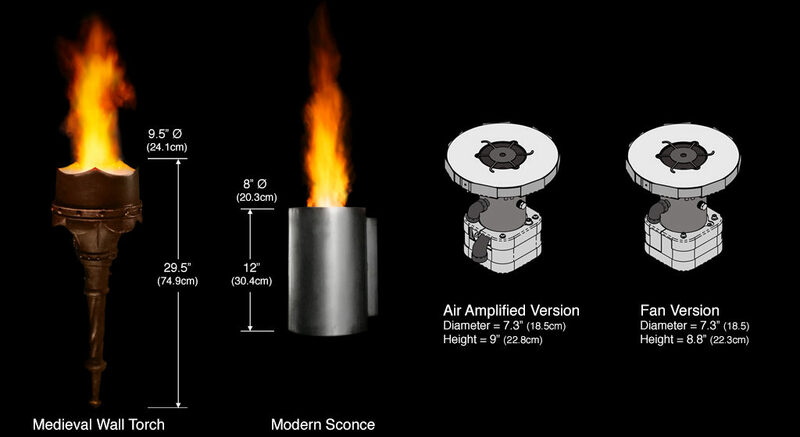 Technifex can also supply the necessary boiler with the FauxFire® Torches. Two versions available depending on facility conditions. Using our latest FauxFire® technology, Technifex has developed a low-cost way to incorporate the ambiance of real flame into virtually any type of themed facility, ride or presentation.